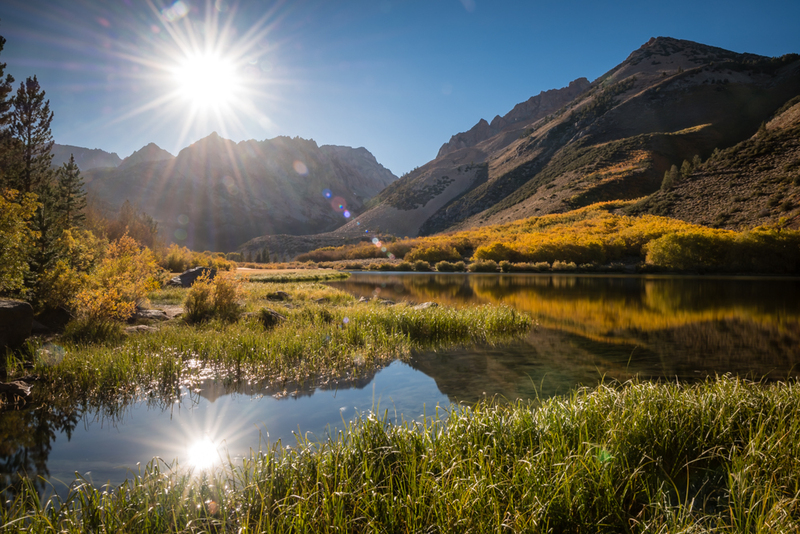 Highway 395 along the Eastern Sierra is probably one of the most beautiful drives in California during the Fall. The whole Bishop Creek area outside of Bishop usually turns a vibrant yellow/orange/red in early October and it has always been on my list of places to photograph. Even though I wasn’t feeling well, I made the long drive down there hoping to come away with a great photo. The colors were spotty at best and no clouds to be seen. So when there isn’t any interest in the sky, just place the sun right in the frame and make a huge sunburst.